In my relatively short time as TBG’s Head Librarian, I’ve observed that an often overlooked area of the collection is our diverse assortment of magazines and journals. If you’ve been into the Weston Family Library, you likely know that current periodicals are shelved along the north wall next to the Pollinator Garden windows, and I want to take this opportunity to re-introduce you to what is there, and why it’s worthwhile to explore our magazines and journals the next time you visit the TBG. And you can do so in comfort, as we’ve added a new couch, a quiet sitting area, and stool bar to make it easy for you to get lost in a magazine. 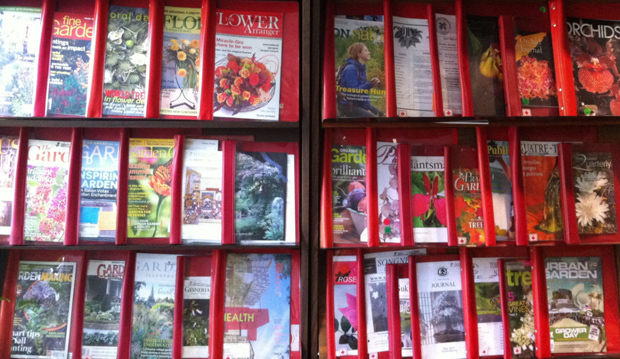 To my own surprise, the Weston Family Library houses a whopping 150 unique magazine and journal titles that span broad areas of domestic horticulture, with an international scope. The majority of these titles and their back-issues are shelved in our library’s workroom, which is not accessible to the public. However, all of these past issues are available to you, and can be retrieved by a library volunteer or staff. Another tidbit that you might be surprised to learn is that the Weston Family Library has its own homegrown electronic article index. Basically, this is a database of the articles from magazines in our own collection. When a new magazine issue arrives, the table of contents is scanned and articles are selected to be included in the index. For each of these articles, a record is created in our library database which can then be searched electronically. A local, specialized article index is incredibly unique for a small library, and I’m very proud that we offer this resource to our users. Most small libraries don’t have this because it is so time consuming to create and maintain. Since our periodical collection is a manageable size, and especially because we have skilled volunteers who are keen to perform the task, we are able to carry out this value-added service. An electronic index is a helpful tool to discover articles on a specific topic from over the years, and to provide visibility and accessibility to older magazine content. Ask about the article index at our circulation desk. Another unique aspect about our library’s periodicals is that TBG members may borrow up to 10 journal and magazine issues at a time for up to three weeks, with one renewal. Some of our magazine subscriptions are also available electronically on the web, or may be accessed through SmartPhone or tablet devices (i.e. your iPad or Playbook). These include Rock Garden Quarterly, Fine Gardening, and others. Below is a list of our 31 active magazine and journal subscriptions. You can find their latest issues on our large magazine rack. For the complete list of titles in our periodicals collection, such as titles in the back room, please ask at our library circulation desk. 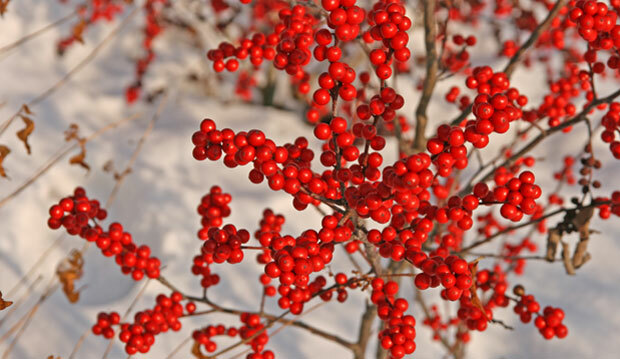 You can also send an email to librarydesk@torontobotanicalgarden.ca or call (416) 397-1343. Please note that we gladly accept donations of used books and magazines. 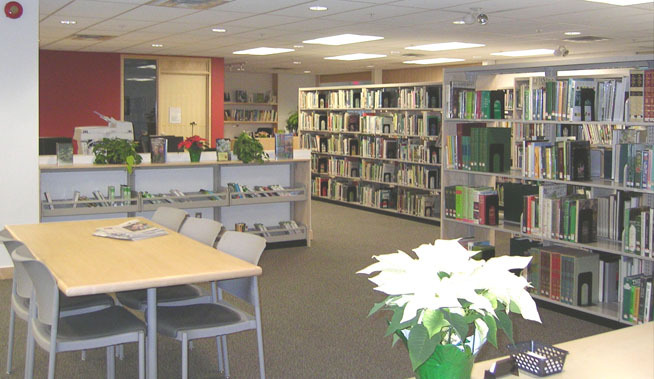 If you have any gardening or horticulture-related publications that you are getting rid of, kindly consider the Weston Family Library as their destination. We can use your donated magazines to fill gaps in our collection from missing issues, add new titles to our periodicals collection, or raise revenues for the library by selling duplicates of issues already on our shelves. We want your feedback! Is there a magazine or journal title that you would like the library to make available? If so, please let us know. Welcome to the Weston Family Library! Click here to link to our online catalogue or to log in to your library account. Our collection consists of over 10,000 books and magazine titles…. From the Stacks: The Reviews Are In!